Periodic Law - Why use a table to reflect the Periodic Law? The similarities of the properties of elements can be reflected best by the use of a table so that common factors between elements appear both in rows and in columns of the table. The Periodic Table can be used by chemists, adhering to the Periodic Law, to observe chemical and physical properties, characteristics, patterns and relationships between over 100 elements in just one chart as detailed in the Modern Periodic Table with names of the elements. The Periodic Symbols are also included on the Periodic Table. Periodic Law - Why do scientists and chemists use the Periodic Law? The Periodic Law is is used by Scientists and Chemists all over the world to arrange the physical and chemical information about the chemical elements in a systematic way. Periodic Law - What is the Definition of the Periodic Law? Definition: The periodic law is the principle that certain properties of elements occur periodically when arranged by atomic number. Periodic Law Origin - What was the origin of the Periodic Law? In 1869 the Russian chemist called Dimitri Mendeleev perceived a totally new classification method of elements which he called "the periodic table". In the same year the German scientist, Lothar Meyer, independently suggested the same ideas. This arrangement brought to light a great generalization, now known as the Periodic Law. Dimitri Mendeleev included all the 65 elements known in his era by their atomic weights and chemical valency. Such regularities very much simplify the study of chemistry. A thorough study of one element of a group of elements makes the study of the other group members a much easier task, since so many of the properties and chemical reactions of the elements are similar. 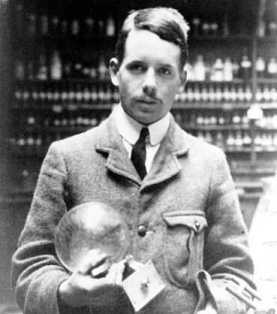 In 1913 the English scientist, Henry Moseley (1887-1915), determined the atomic number of each of the elements and modified the 'Periodic Law' accordingly. Moseley realised that when atoms were arranged according to increasing atomic number, the few problems with the periodic table which had been developed by Dimitri Mendeleev disappeared. Because of Henry Moseley's work, the modern periodic table is based on the atomic numbers of the elements. The Periodic Law states that the Physical and Chemical Properties of the elements recur periodically in a systematic and predictable way when the elements are arranged in order of increasing atomic number. The Periodic Table is therefore arranged in order of increasing atomic numbers according to the Periodic Law following the modification by Henry Moseley. The Periodic Law can be explained further by comparing the chemical and physical properties of elements. The physical constants of many of the elements did not at first agree with those demanded by the periodic law, and a further study of many such cases showed that errors had been made. The Periodic Law has therefore done much service in indicating probable errors. When the periodic law was first formulated when Dimitri Mendeleev developed his theory there were a number of vacant places in the table which evidently belonged to elements at that time unknown. 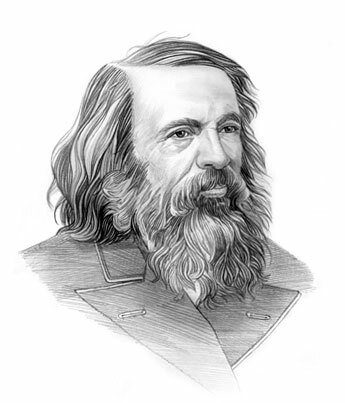 From their position in the table, Dimitri Mendeleev predicted, with great precision, the properties of the elements which he felt sure would one day be discovered to fill these places. There are still some vacant places in the table, especially among the heavier elements. The Periodic Law allows modern scientists to include newly discovered elements in the Periodic Table. 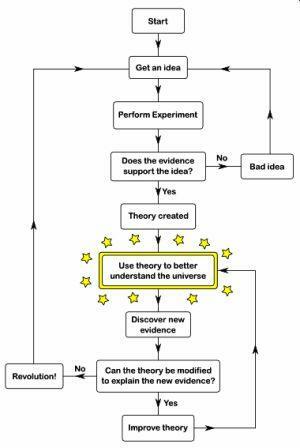 The following flowchart illustrates the process of developing a scientific theory. This process is followed by all scientists and chemists including Dimitri Mendeleev and Henry Mosely who formulated the Periodic Law. Periodic Law - Elements Map! For additional information about the elements featured on the Periodic Table adhering to the Periodic Law please refer to our comprehensive Elements Map!